New Tech Means Public Listings, Spinoffs for Music Streaming Business Will Emergency Alerts Be Carried on Streaming Services? Netflix, Hulu, and Amazon’s video services have changed the viewing experiences on the nation’s televisions, computers, and laptops. Their content can be streamed on demand, versus the rigid format of structured times and channels that once ruled network and cable television. For all the popularity of on-demand digital content like Netflix, though, it is arguably purveying entertainment forms that are not that new. Documentaries, dramas, and comedies are precisely the fare that television — and even radio before it — offered. So Netflix, Hulu, and Amazon are following a venerable tradition in types of content, not breaking new ground. A new book, Streampunks: YouTube and the Rebels Remaking Media, argues that one streaming service, YouTube, is something new in its business strategy. The book, written by the company’s chief business officer Robert Kyncland a former Google writer, Maany Peyvan, was the topic of a presentation at the University of Pennsylvania’s Wharton School. Streampunks posits that YouTube is different from conventional media for two reasons. First, YouTube videos — and the people who make them — reach a public outside the usual methods of media. Traditionally, gatekeepers such as broadcast executives, talent agents, or casting agents held power over who got to appear before the public. A talent, whether actor, writer, producer or singer, had to meet and receive the approval of the gatekeepers to put their talents before the public. YouTube, however, is open to anyone who can learn to make and upload a video, provided they stay within YouTube’s acceptability guidelines. People can, and do, make videos on every conceivable subject. Second, the types of content presented on YouTube is quite different than conventional content. While documentaries, dramas, and comedies certainly have appeared on YouTube, it initially became better known for things like vlogging, as people charted their lives, their diaries, their relationships, and more. It also became very well-known for how-to videos, on everything from how to peel a pomegranate to how to repair insulation. 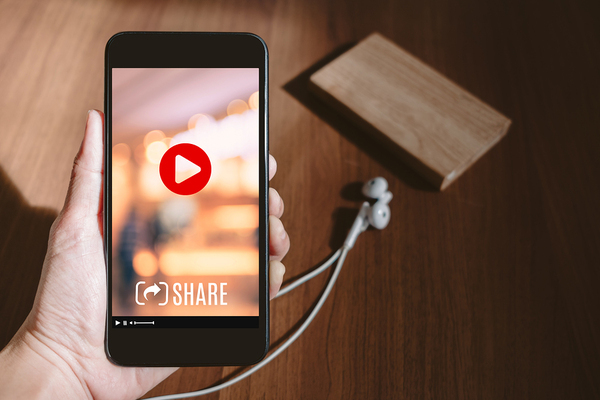 The ability to watch videos on mobile phones has spurred YouTube to even more popularity. Both revolutionary forms have proved enduringly popular. Plus, as technology news in The Guardian points out, they are popular with fan bases, not audiences, which tends to make their popularity more vibrant. Streampunks’s authors believe that the popularity would have existed had technology remained at the laptop and desktop computer level, as watching videos ranks as the most popular thing people do in their spare time. But YouTube’s popularity received a mighty boost in the form of mobile phones, for several reasons. One of the basic reasons is that mobile phones make it easier to watch videos in brief pockets of time, such as work commutes or while waiting for someone. These periods of time may have once been filled by reading a book or newspaper but now it’s possible to watch videos. Another way mobile phones have helped spur the popularity of YouTube is the convenience factor. For instance, how-to videos are especially popular when people can carry the videos to the locale they need. People repairing the insulation in their attic, for example, are more likely to bring the smartphone streaming the how-to video there than to copy down a set of instructions. Are vlogs and how-to videos the future of on-demand content? YouTube’s popularity has been growing constantly, so it appears at least in part, the answer is yes.